Today is Sunday. I’m on a hill overlooking a small German town. Chris has gone into town to see if he can meet up with the people who must host us. I decided to stay in the woods till we are sure. It is autumn in Germany. It is bitterly cold. While I wait for him, I can write to you. I have so many times wondered if I did the right thing to come, but I have learned so much. I have learned that in order to cure bacon, one must master many different disciplines. One day you learn about cutting the carcass and removing the bones. The next moment I am back in the farm school at Wolwehoek, learning about biology with Mrs Boekhard and chemistry with Mr Beneke. I am enjoying all these facets. It is important for me that you and Lauren and Ava, not only know why we are doing this, but that you and Lauren know what we learn. If something happen to me on this trip, you must continue the quest. Curing bacon is about making pork meat last in our hot climate. From the Danish spice trader in Johannesburg I bought some Chilean Saltpeter*** which I took to Oscar. We mixed it with salt and rubbed it onto the pork cuts. 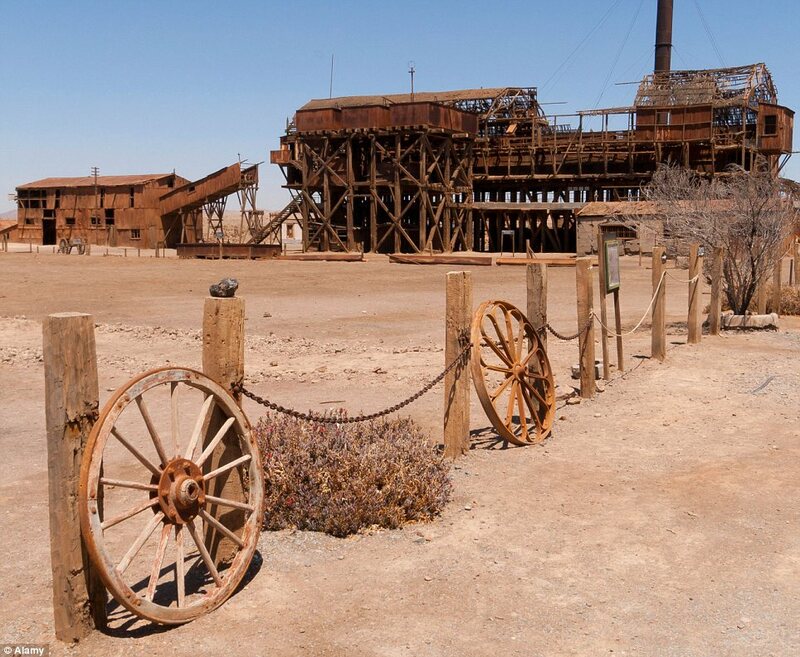 The saltpeter*** is from a town called Humberstone in Chili. The old spice trader told me how they use it as fertilizer and sell it around the world. How wars were fought in South America over control of these mines. How someone figured out that if its used with salt, that the pork gets a reddish colour and last much longer. In Denmark, Andreas told us that the first time saltpeter was shipped to England, they did not think its worth much and dumped it in the sea to avoid paying taxes. This makes me hope that maybe they will think that there is not really much gold in the Transvaal or Diamonds in Kimberly and they will let our people be. Much of what I learned in Denmark was about this Chilean Saltpeter. It seems as if the Germans know much more about it and this is precisely why I am here. The saltpeter*** and ammonia salts are the secrets to unlock in Germany. In Copenhagen I heard that they have discovered that ammonia can be turned into ammonium and ammonium into nitrite. That the impurities in saltpeter is exactly this nitrite that Haber could now produce in a factory. What they have discovered is that it is the nitrite that is curing the bacon, and not the sodium salt or the saltpeter! The reason why this will help us is the price. It will be much easier and cheaper getting this from Germany if they make it in factories rather than from Chili or Peru where they mine it. Especially if its not even the saltpeter we are after in any event! It is amazing to be in Europe at this time. It feels as if we are here at the birth of a new era in bacon curing and preserving food. It is very exciting. Saltpeter has been used for preserving food since the time of the Romans. It feels as if humanity is only now starting to understand how it worked and why! I am here as a spectator, at this time as great men and woman work to unlock secrets! I am insanely excited! I have much to learn in Germany about saltpeter and nitrite. I wrote Ava that we went to Poland. In Poland we learned something different. About breaking the carcass. They showed me how to do it with a small axe. I laughed when I thought how Oscar and I broke the carcass. Oscar and I managed to rub the Chilean saltpeter and salt on the pork loin. We left it in the curing barrel for 14 days. The meat was reddish and I can see that the impurities in the saltpeter did its job, but it was very salty. Too much! The other problem is that we still cant do this in the summer because the meat goes off before the salt and saltpeter has penetrated the entire piece of meat. Even though we are learning every day, there are still much more to master before we will know how to do it the way the English do it. It feels to me as if the subjects we study never change, but the level of what we learn intensifies. As if the universe of good bacon is good pigs, right slaughtering, effective deboning, curing methods and salts, how on earth do we keep the meat from spoiling before its cured in our warm country and how can we reduce the very salty taste we got when we cured the loins in Potchefstroom. On each of these topics the brightest minds in the world are working. All we have to do is to tap into their knowledge. There are also many stories I will tell you when I am home that is not about bacon. About how the first family who was supposed to take care of us in Germany almost could not. How the sister of the inn’s owner came late at night to fetch us. How I told her that it was such a beautiful night that her and I should be painting the town red. She is old enough to be my mother and I think she did not understand why I wanted to paint a town. Especially since it was very cold and very late and we just got off a cart that brought us from northern Germany. At the inn she told everybody we are English. Even though this will make the Boers at home very angry, I think its right for the people here to think we speak English. All around me are tall trees and bright red berries and the ice cold wind. And the picture I have in my heart of how we can win the war at home with Polish, Danish, Spanish, English and even German support. In my mind I see you jumping off cliffs, into the pools, and my beautiful Lauren playing. I see Andre and Elmar riding off on kommando – to war! These pictures of the war and of you and La’tjie, playing and growing up should be what I see. It drives me! The many good friends I have who want our quest to be a success and the many families who depend on it. Then there is the picture of Ava that I carry in my pocket and in my heart wherever I go. Chris is not back yet. I think its best if I sneak into town to try and get this letter to you. * All pictures in this post, except the first one of Santa Laura, I took in a forest in Germany where I wrote this. We were visiting suppliers and manufacturers in preparation for the new Cape Town bacon factory. ** Eben and Chris arrived in Germany on 17 October 2011 to investigate bacon production processes and equipment. *** Chile Saltpeter is Sodium Nitrate. Its still being used around the world in certain dishes. **** Norway had a plant that produced Ammonia before WWI, but the process was inefficient.